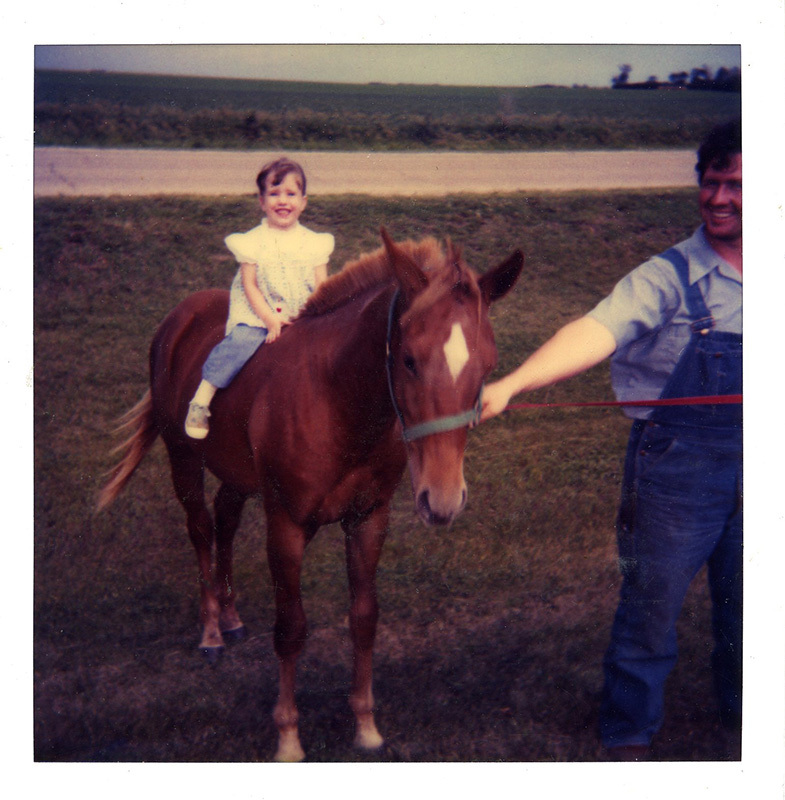 I grew up on a farm Southwest Minnesota, third in a family of six children. We were a traditional family in which my father and brothers worked outside on the farm and my mom, sisters, and I worked domestically. There were always babies around – they seemed to come easily to my family. Babies are what I knew. As a kid, I disliked babysitting and domesticity, but that was how I knew life to be. I try to think back to what drew me to art and creativity, but I can only remember always wanting to be an artist. I think being right in the middle of a big pack of siblings allowed me to fly under the radar a bit, and do whatever I wanted with life because my parents were busy putting out fires elsewhere. I had big hopes of freedom, creativity, and travel. I met my husband late in college and we were married not too long afterward. As is the tradition with my family, babies came quickly and easily. I was angry for a long time because I didn’t want kids and felt I had no control over the shape and direction of my life. I looked to the artists I admired at the time and saw that none had children. I looked to my only female art professor as an example – she had children but was not a practicing artist. How could I possibly have kids and still have the space in my head, body, and time to make art? Needless to say, I felt like having children meant I had failed my life’s goal to be an artist. I don’t think anything prepared me for life as an artist and mother. My brain felt like the two were incompatible. In Joyce Tenneson’s book In/Sights she compiled a selection of self-portraits by women. In one statement an artist wrote how she and her graduate school classmates would joke about who would “fall to motherhood first.” As if motherhood was incompatible with an artistic life, and something to give in to because you didn’t have the strength to resist. 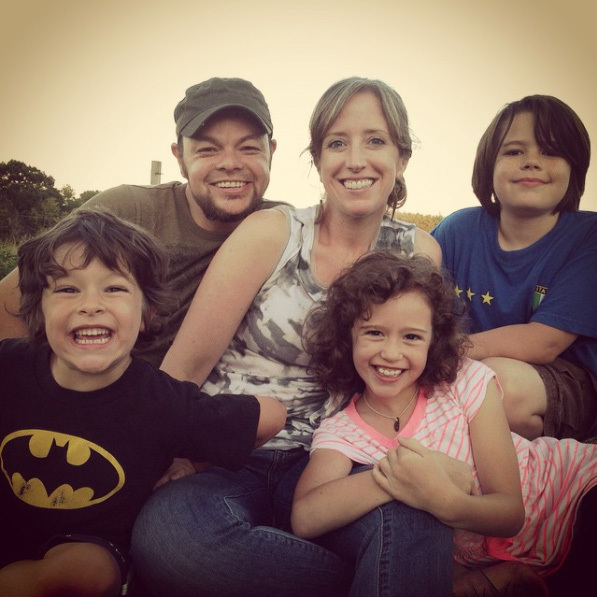 My friend, Carla Barnhill is a writer and beautiful example to me of how to live life as an artist and mother. She’s ambitious, loves her work, struggles honestly, and never apologizes for the state of her house or children. Can you talk about how you balance your role of artist; and the role of mother? Did you take time off after the birth of your children? How did that work? What about childcare? Studio Time? I did take time off when my kids were born, but can’t recall exactly how much. My work schedule was fluid and self-imposed, so I would schedule things as necessary. One of the benefits of being a photographer is that much of the work is done on a computer. Before my kids were school age I made a practice of working every afternoon. We’d spend the mornings together and then they would nap or lay in my lap in a Boppy while I worked on photographs. I also had a practice of going away once or twice a year for a photography workshop or retreat. Some of my most productive making time takes solitude, which was very difficult during the early years. I enjoyed seeing your photographs from the Art and Motherhood series. They were honest and portrayed vulnerability well. Can you talk about your Art and Motherhood series? What made you want to start the series? How do you view the work now? I was sitting in the audience of a grant review panel while my work was being discussed and the panelists thought I was generic, guarded, and didn’t show my own artistic voice. That moment was the springboard for Art and Motherhood. In an “I’ll show you” moment I asked myself what was the hardest, most honest and vulnerable thing I could address in my art: my role as a mother. I wanted to be honest with myself about my experience and approach it both emotionally and rationally. I also wanted to make my art as demanding as my motherhood – I committed to making and uploading an image to a website daily for a year (this almost always took many hours each day). I experimented with a variety of images – sometimes about presuppositions I had, emotions I was experiencing, or moments to document. I hoped that by being so personal I could reach a more universal expression rather than simply be a narcissist. I also wanted to demystify the myth of the perfect mother and embrace the validity of struggle. It became a year-long performance project. I look back on that body of work now and am thankful for the way it moved me forward in life. It addressed many things I didn’t even know were issues for me. By conceptualizing an idea and analyzing the construction and execution of an image, I was able to process through many of my personal struggles about motherhood. In your statement for the Art and Motherhood series you mention Sidney Jourard’s writings about concealment/openness in relation to self-portrayal. Do you feel you prevented yourself or your images from misrepresenting the true self? Have you or will you use this ideology for other photographs? I think I did both during the series. I took honest feelings and experiences and made them into images, which I consider to be a successful representation. There were times, though, where friends would call or email out of concern because they were worried about the depth of my depression. I think this response shows a misrepresentation of myself. When I decided to embark on a very difficult subject I did so intentionally and not for pity. I would begin with the feeling (a real experience) and then have to technically figure out how to communicate it – I had to step outside the feeling to analyze it. For example, October 14 was a particularly vulnerable photograph. I was talking to my therapist and working through a deep struggle. I was in the midst of despair and thought, “This. 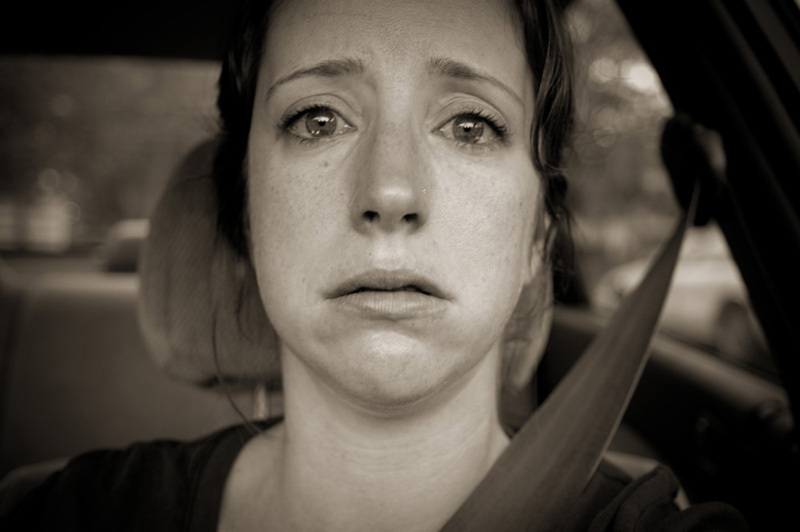 This despair is what I want to show today.” So, I pulled back the feeling, held onto it through the rest of the session and took it with me into the car. I set up the photo and let it go. I wanted to accept and communicate the feeling without judging it. I expect this process will repeat itself in my art at some point in the future. I haven’t delved in at the same emotional level since Art and Motherhood because it’s difficult and tiring. How does photographing your family or friends work? Is it a collaborative process? Are you directing them or waiting for a moment to present itself? How has this informed your relationships with one another? When I conceptualize an image I plan it out and set up the scene. I’d say I’m more director than collaborator, but I don’t usually direct the behavior of the person in the scene. I often spend time watching, waiting, and chatting until the moment or energy seems right for the image I’d planned. What is next in your work? I’ve continued the community and connection themes that began in Art and Motherhood and have been exploring the physical and social spaces we use to develop and nurture meaningful identities. I’m interested in the different communities we participate in and ways they impact our sense of identity and belonging. I am also happy to say I’ll be starting the MFA program at the University of Minnesota in the fall. I’ve been working toward it for a long time and to me, it represents the ability to be both an artist and mother simultaneously and successfully. Because I’m very interested in community and connection I have been involved in public art policy for the City of Minneapolis. I’m on the Public Arts Advisory Panel and have chaired the Minneapolis Arts Commission. I think public art is important because it invites everyone to participate in art and not only those who go out of their way to museums or galleries. It’s art for everyone. The City organizations have been an invaluable opportunity to learn about the practicalities of implementing public art. I’m also the art coordinator for a community group. It’s been a fascinating experiment on the value of art in community and ways to connect, welcome, and involve people in the arts. Besides photographs I like to make lots of things: paintings, coffee tables, shelves, curtains, pillows, earrings… I think I’m a maker at heart. I also like to bicycle, run, hike, camp, cross-country ski, and read. These are all things I find life-giving. And coffee. Definitely coffee. When my kids were younger I was impatient because I thought they were taking up all the time I should be using for creativity and building my career. At some point I realized as long as I was making small steps forward, little by little they added up to a lot. Once I took the pressure of expectation off myself, I could see how those small steps added up to big strides over time. Also, self-preservation is not selfishness. Taking care of oneself, making time for art, and wanting to feel alive are not selfish.